Nokia's proudly showing off the Symbian S^4 user interface to all and sundry, which is expected to fall onto phones sometime early next year. We may still be awaiting Symbian^3, but Symbian^4 looks like a breath of fresh UI air. 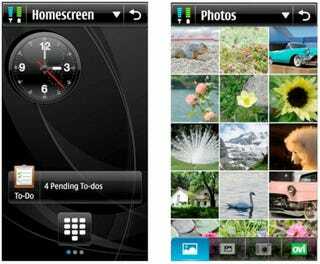 Anyone that's using a phone laden with the current Symbian^1 should be rejoicing at the sight of these images, which show a cleaner, more modern platform. It's almost taken inspiration from Android (in fact, the User Interface Concept Proposal actually compares the UI to Android), but you know as well as I do that pretty pictures have nothing on actually getting your hands on a running device. Lag is a prevalent problem with S60, though that's partly to do with hardware faults obviously.